Perfectly situated between Tompkins Creek and the banks of Scott River, the site that is now Scott River Lodge was once home to a fish hatchery designed to increase the trout population in the region. 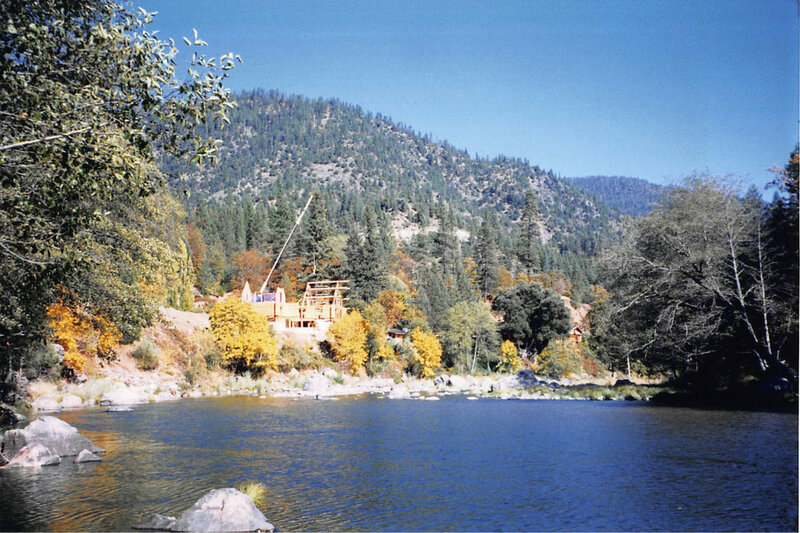 It operated as such for just over ten years until 1994, when Jerry Lynnes caught a vision for the property and began to transform it into the retreat haven it is today. Soon after the new Tompkins Creek Pack station opened, its guests discovered a peaceful balance between being pampered on the decks of the Lodge, and saddling up to ride the surrounding trails. While the station was beautiful, and the service warm and inviting, it was out on the trail that they understood why they came. The beauty of the marble mountains, the cool breeze in their face, the only sound being of clanking hoofs across a wide open valley or a mountain pass, Jerry's guests disconnected from everything except the trail before them. There are few places like it. About ten years after the station was in operation, Jerry began noticing groups of high school kids and dads riding by in JH Ranch vans with rafts in tow as they headed to the Klamath River for a day on the water. The Lord planted a seed in his mind as he began wondering, "What am I missing and where are they going?" Conversations followed with Bruce and Gene Johnston, the founders of JH Ranch, that resulted in the property becoming part of God's plan for JH. And in 2006, Jerry sold the station to JH Ranch, where his original vision could be multiplied through the experience of the JH Ranch team, and the work that God was doing through them. And Scott River Lodge was born. These two prior uses, a fish hatchery and Tompkins Creek Pack Station, were simply hints of what was to come. New life, restored relationships, and being in a setting that allows couples to hear His voice, hear one another, and find deep rest were ultimately God's plan for the property. And now, the Scott River Lodge has become a premier destination for couples who want to experience 4 star accommodations and gourmet food in a beautiful setting, yet who are looking for something more than "just another vacation". The Scott River Lodge has become a place where couples come to rest, are taught authentic biblical truth, enjoy world class food and recreation, yet go beyond a vacation to a place where they can hear God's plan for their marriage. Come and join us for a week and see how marriages are transformed at the Scott River Lodge.